These are the films of the early era that were without synchronized sound, from the earliest film (around 1891), until 1927, when the first 'talkie', The Jazz Singer (1927) was produced, although there were a few other 'silents' later on, such as City Lights (1931). 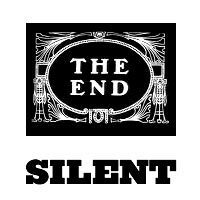 Calling them silent films is something of a misnomer - movie theatres and other dream palaces provided pianists, wurlitzers, and other sound machines, and some films were produced with complete musical scores. Most early silents were accompanied with a full-fledged orchestra, organist or pianist to provide musical background and to underscore the narrative on the screen. Some even had live actors or narrators. Unfortunately, many of the early classics have been lost to decomposing nitrate film bases and outright destruction. Many early silent films were either dramas, epics, romances, or comedies (often slapstick). One-reelers (10-12 minutes) soon gave way to four-reel feature-length films. Early masters of cinema during the silent years included Cecil B. De Mille, known for his epics such as The Ten Commandments (1923), Erich Von Stroheim's dramatic tale of the degenerative effects of avarice in Greed (1924), King Vidor's war drama The Big Parade (1925) and his simple yet dramatic story The Crowd (1928) of a young couple in the city experiencing the plight of Everyman. In addition, F. W. Murnau is most famous for his silent melodramatic masterpiece Sunrise (1927). The most-remembered films from the silent years are the visual comedies from the Mack Sennett Keystone Kops series, starring Fatty Arbuckle and Mabel Normand, and slapstick from the 'silent clowns.' Tragi-comic superstar Charlie Chaplin is most noted for The Kid (1921), his classics including The Gold Rush (1925), the exquisite City Lights (1931), and his first mute "silent film" with sound Modern Times (1936) - a satire on the machine age. Physically-daring comedian Buster Keaton ("Old or Great Stoneface") appeared in many other classic comedies, including Sherlock Jr. (1924), The General (1927), and Steamboat Bill, Jr. (1928). Harold Lloyd's most famous silent film found him dangling from a clock on the side of a city building in Safety Last (1923). On the next page, find recommendations for silent film viewing, so that you can experience for yourself these great film masterpieces. Note: Most of the films in the following list were produced in the US, although the exceptions are noted.